Black Voices is reporting that Gladys Horton, the lead singer of legendary girl group the Marvelettes, has died. Horton died Wednesday in Sherman Oaks, Calif., from complications related to a stroke. Horton's work with the fellow members of her group and their smash hit "Please Mr. Postman" opened the door for other girl groups, including the Ronettes and the Supremes. Horton co-founded the group with other members of her Glee Club in Michigan. Their original name was "the Casinyets," which stood for "can't sing yet." It was Horton's strong voice that convinced Motown founder Berry Gordy to sign the company's first all-girl group. Horton was 15 when Motown released "Please Mr. Postman." 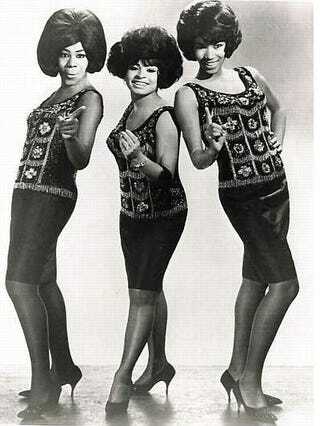 The Marvelettes had 23 singles on Billboard's Hot 100, including "Too Many Fish in the Sea" and "Don't Mess With Bill." Horton was replaced as leader singer in 1965 and left the group two years later. She traveled performing under the name Gladys Horton and the Marvelettes until she suffered a stroke. Horton is survived by two sons. She was 66. In other news: Virtual Insanity: Egypt Shuts Down Internet as Protests Intensify.